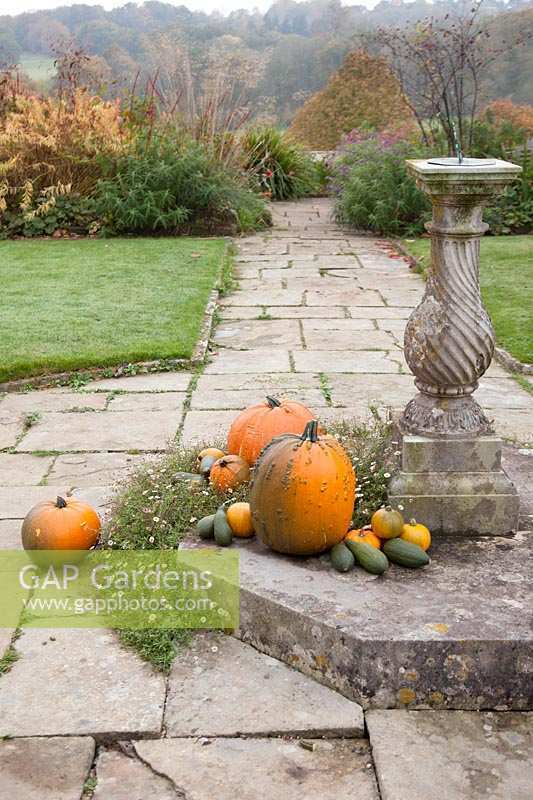 Sundial with decorative squash display in autumn Garden. Gravetye Manor, Sussex, UK. Image 1306056 has been added to your cart.